If you are interested in visiting the best attractions of Copenhagen and its surrounding area in comfort and style, take a look at our recommendation for the finest sightseeing tours. We offer a wonderful way of experiencing the happiest city in the world. Discover Denmark’s capital and its area with the following top-rated Limos4 Copenhagen tours. 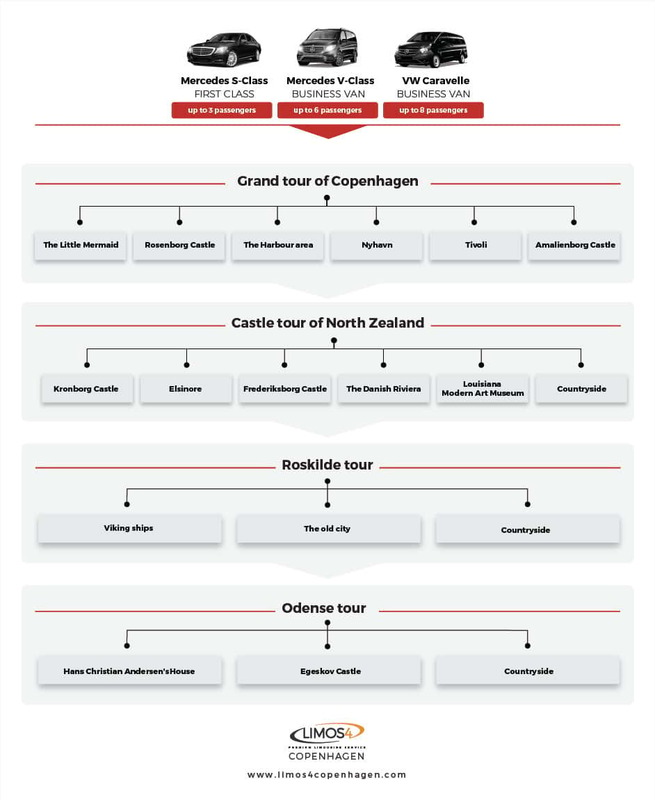 Book your perfect sightseeing trip in Copenhagen by sending us an email with a name of the tour or a combined tour that would suit your taste and interests.